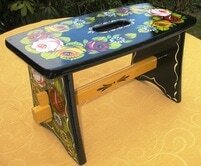 including sign writing of your name or boat name on the middle band. 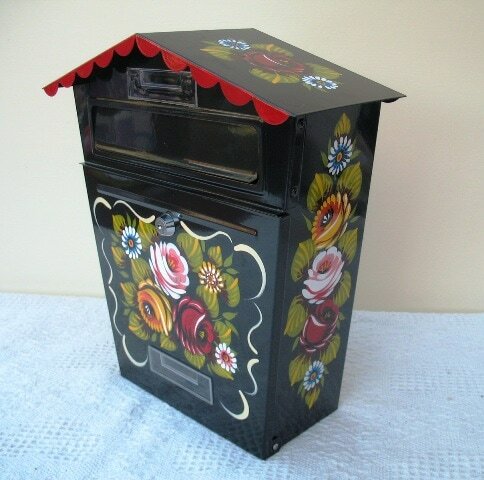 A full size galvanised steel coal hod, painted on a black background with roses and castles. 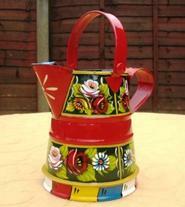 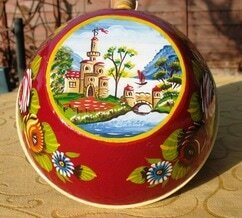 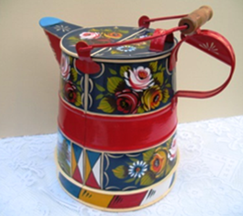 6 & 2 cup pottery teapots painted with roses & daisies on each side & also with daisies decorating the lid. 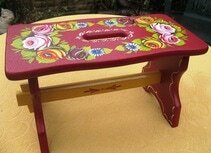 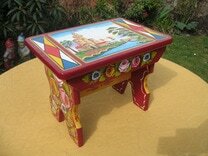 wooden pine cabin stools painted with roses, daisies and gypsy brush strokes dimensions 15" x 8/1.2" x 7". 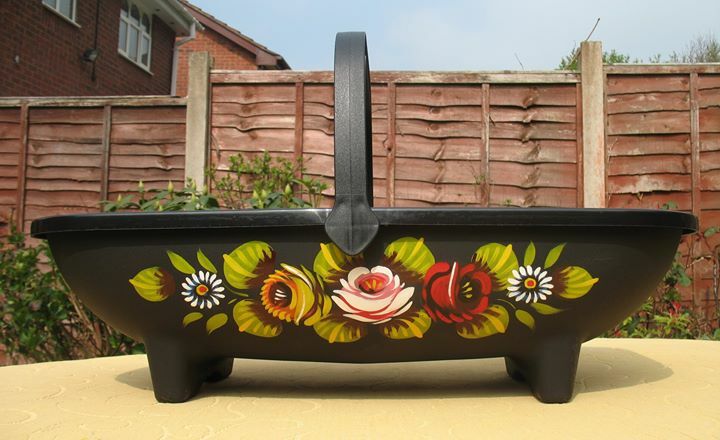 This is a plastic plant trug basket painted with 3 roses and daisies on each side and a rose and 2 daisies on each end. 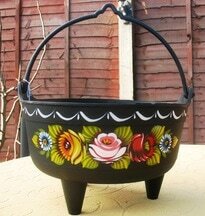 The basket measures 53 cms in length by 29 cms wide (21" x 11") and is signed by me as an original piece of artwork. 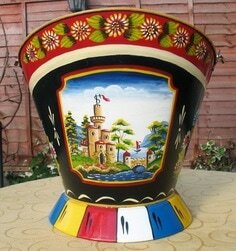 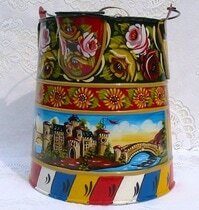 ​Can be filled with plants or herbs for your boat roof or your garden patio! 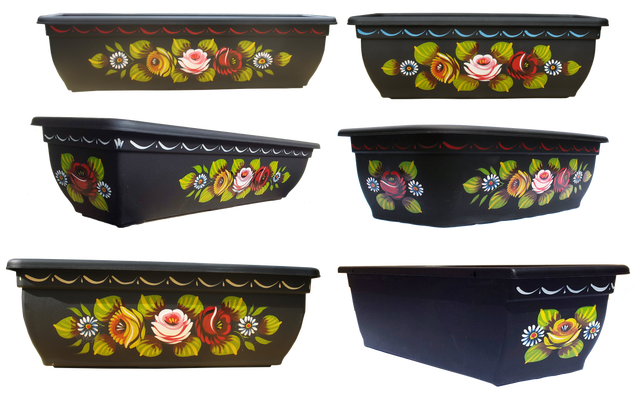 good quality plastic plant trough with 3 roses and white daisies on each side and a rose and 2 daisies on each end and finished off with gypsy brush strokes around the top rim. 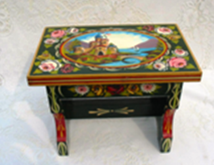 They are signed by me as an original piece of artwork.